We’re back from FrostBike and we’ll be posting some thoughts to the blog in the next few days. 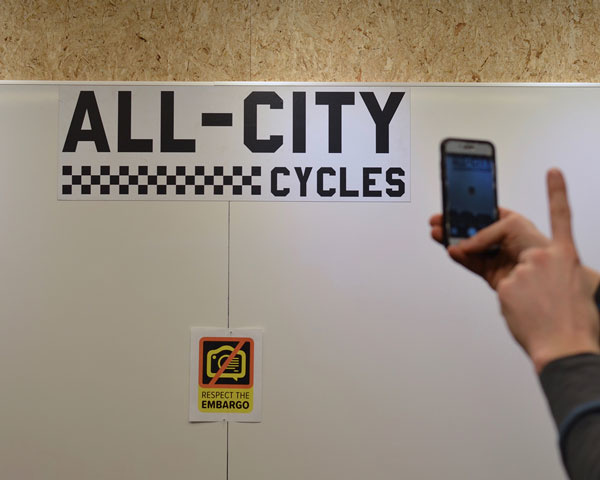 For now, we’ll say that we’re excited to be an All City Cycles dealer in 2019 (these new offerings are killer), and we are looking forward to making improvements to better meet the needs of all members of our cycling community. As always, if anyone would like to make any suggestions about what you’d like to see more of and/or what we can do better, please don’t hesitate to comment, or start a conversation in the shop. We can't tell you what All City's limited edition 2019 offerings are (yet), but from the paint to the geometry, to the build, these bikes are the full package and definitely going to move fast. So if you want to guarantee your complete or frameset, drop us a line to talk about your riding discipline and we'll take a deposit to lock in your order as soon as the lineup launches.